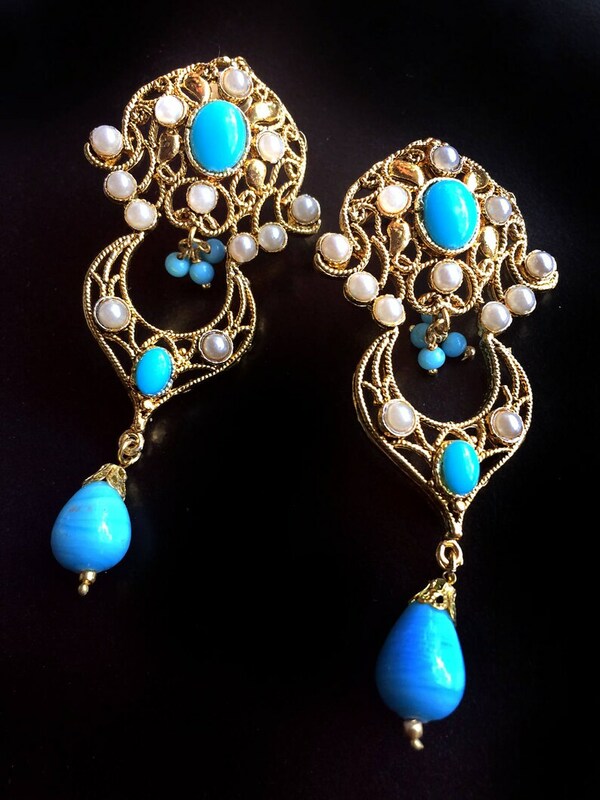 Lightweight statement earrings 3.5 inches long.from top of earring to tip of bead. Gold plated for a rich finish. 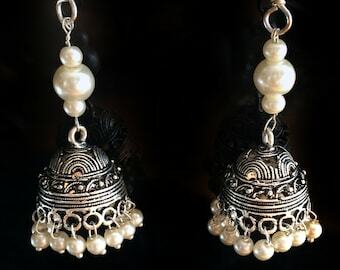 They are studded with cultured white Pearls. A beautiful One of a kind piece. It takes around 2 weeks to hand make a piece like this. This is a designer piece.